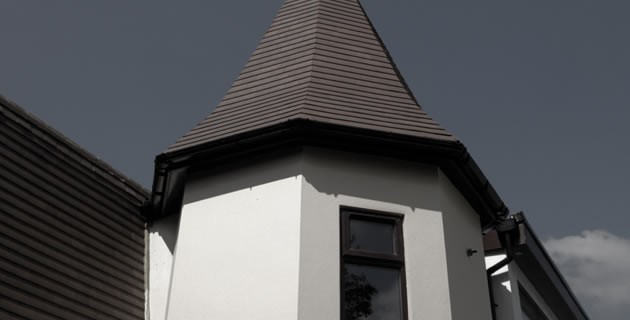 A Cold Ventilated Void Roof configuration is the traditional form of pitched roof build-up. 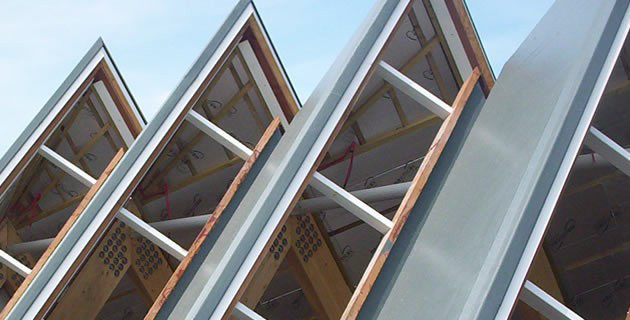 The insulation layer is placed horizontally, directly above the ceiling of the upper story of the habitable section of the building, usually positioned between the joists in the loft space. The breather membrane or a proprietary type of under slating material is placed at rafter level, either draped between the rafters, or supported on a sarking board (usually Scotland). 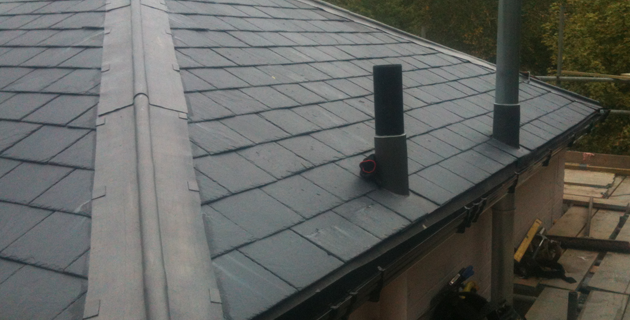 In a traditional cold roof system, any void space below the under slating membrane has to be ventilated. 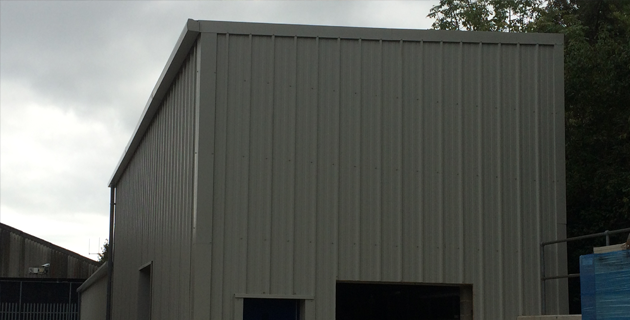 Warm roofs are increasingly popular today as we aim to maximise our living space and the available accommodation in any construction. 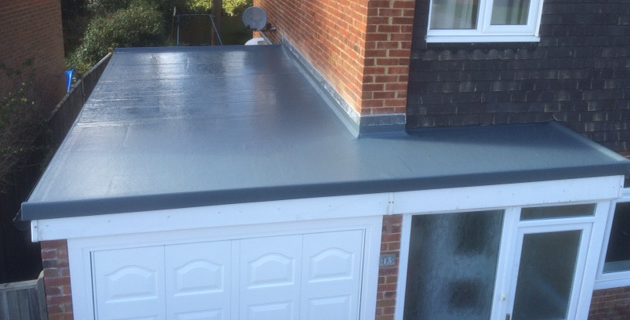 This will be the predominant form of pitched or flat roofing construction in Tonbridge. 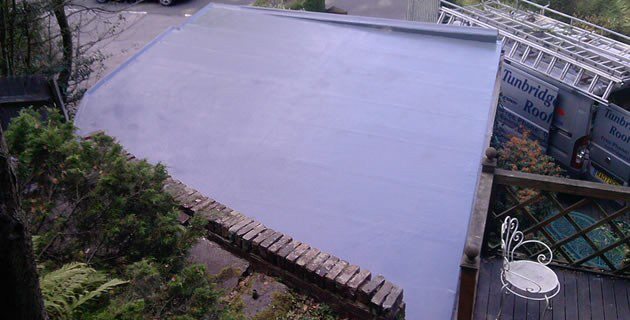 A breather membrane must be used in a warm roof configuration, to overcome the condensation risk. 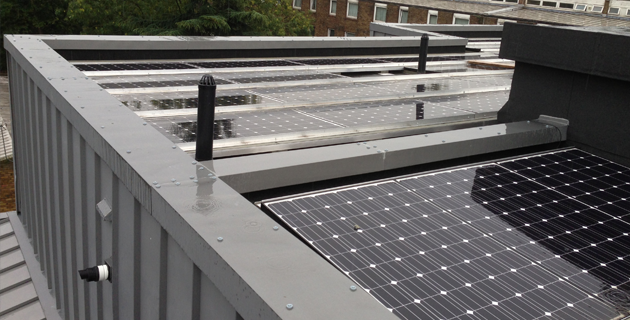 In a warm roof configuration, the insulation is positioned directly under the external waterproofing (e.g. tiles or slates), following the rafter line. 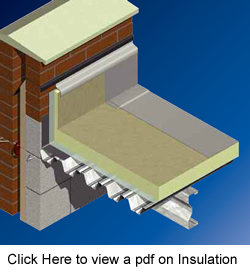 A vapour control layer is usually placed beneath the insulation (on the warm side), to limit the passage of moisture vapour into the insulation. The breather membrane is placed on top of the insulation, with overlaps, penetrations and perimeters sealed with Jointing Tape. 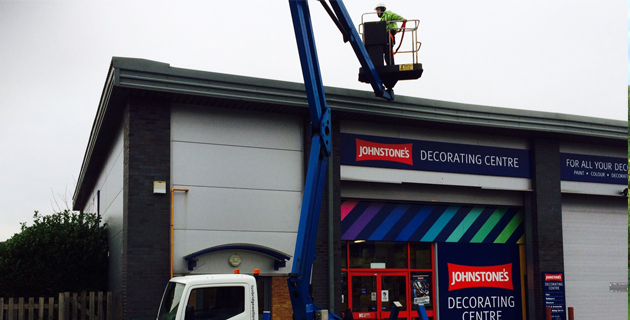 Counter battens/tiling battens are used to install the tile or slate finishes. Using this system, there is no need to ventilate the void space below the breather membrane, as this void space will always be at a similar temperature to the habitable portion of the building, minimising the possibility for condensation. The void space that would have previously been a storage loft, is now a usable space! 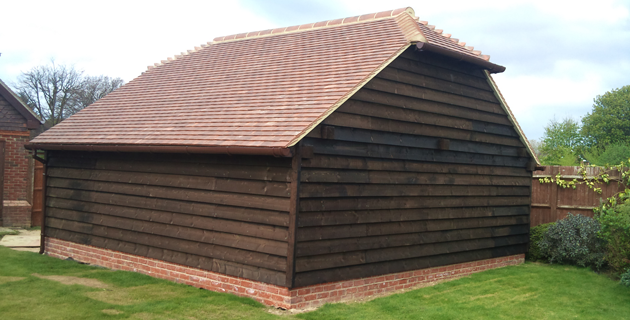 Based in Tonbridge, we provide domestic, commercial and industrial clients from across Kent, London, Sussex and Surrey with the finest roofing insulation installation and repair services. Many of our clients are based in Canterbury, Medway, Maidstone, Sevenoaks, Reigate, Brighton, Bromley, Tonbridge, Orpington, Dartford, Faversham, Ashford, Slough and London. 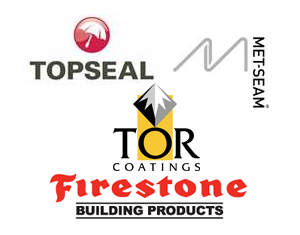 Contact us for more information about roofing insulation in Tonbridge.